I attended more than a dozen weddings last year. When each couple was inevitably asked how they met, the answer, 50 percent of the time, was Tinder. And that was said sheepishly zero percent of the time. 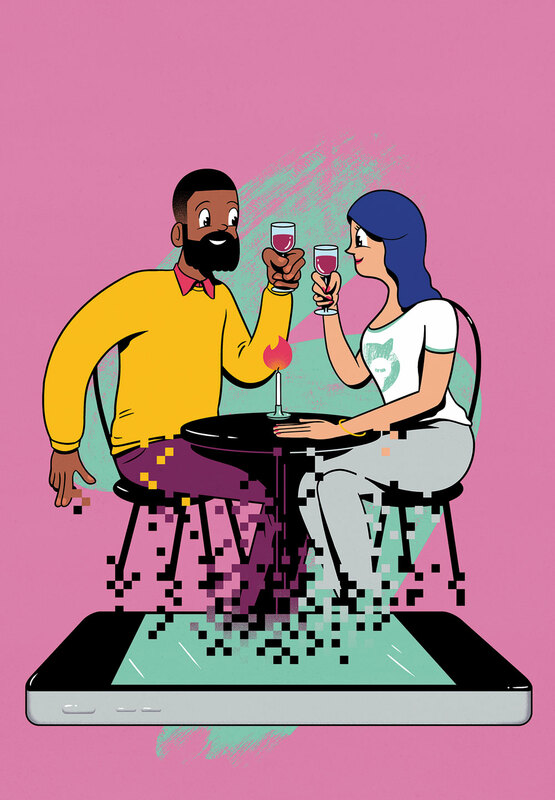 Six years after the dating app’s launch, it’s safe to say that Tinder has abandoned its nefarious past as “the hookup app.” So, if you’re looking for love this Valentine’s Day, you might just find it there—or at least you can find a hot person to drink with. Once you find a match, where should you meet? I may have been to a lot of weddings, but I’ve been on even more first dates. Let me help. Finally, Revelator Grant Park (formerly Octane) is a first-date classic. Why? Options: You can order coffee (including decaf), tea, beer, wine, or liquor, and there are two-seaters as well as long, communal tables, which are good if you get an immediate “this might actually be a networking opportunity” vibe. Basically, Octane allows for customization. If things are going especially well, take a walk around Southern Gothic Oakland Cemetery, which is right across Memorial Drive. Because what’s more romantic than a reminder that our time on this globe is finite? Dear reader, nothing.